I have been home schooled from the beginning. I began Minecraft school over a year and a half ago during the summer session of 2014. I had no idea I would move up in the ranks as fast as I did! I have grown so much with GamED Academy, learning how to be a good teacher and how to help students in any way that I can. 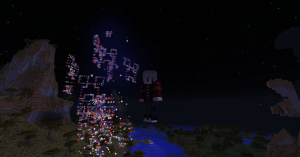 I have so much fun seeing the students having a great time playing mini games they created such as hide and go seek, roller coasters, and parkour along with helping students with what they need such as help with commands, Redstone and helping them to understand the builds for the week. I also enjoy talking to the students on Team Speak and playing with them on SkyBlock, Sandbox, and other mini game maps!